Chester VT police arrested Springfield men who they say are responsible for $40,000 worth of thefts. 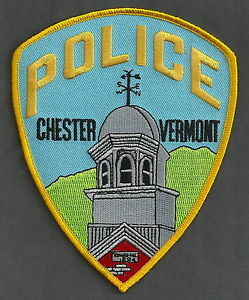 The Vermont State Police, Springfield Police, Weathersfield Police, and Ludlow Police Departments, began investigation with Chester Police into a series of burglaries and thefts in and around Chester. The investigation led to the arrest of Michael Farnsworth 26, David Farnsworth 59,Zaqchary McNeill 23, and Paige Hillock 24, who were charged with Burglary, Grand Larceny, Possession of Stolen Property, Unlawful Mischief and Aiding in the Commission of a Felony. Police ask residents in Chester and surrounding communities who have had property stolen in recent weeks and have not reported to make a report to their law enforcement agencies so items can be compared with items recovered. The schedule for the Lower Main Street Bridge in Sunapee has been delayed. Scott A. Hazelton, Highway Director said the bridge beams are coming from the Mid –West and bad weather there has caused a delayed in delivery. The beams were scheduled to arrive yesterday (Wednesday) and paving of the bridge will take place on Monday November 30t. Guardrails will be installed next week depending on the weather. At this time, the bridge contractor, Hansen Bridge, is still planning to re-open the bridge to all traffic late next week, or during the week of December 7. A Sunapee woman is facing drug charges after she was stopped for speeding last week. Sunapee Police say they stopped Katharine Halsted for speeding on Bradford Road and detected the odor of marijuana coming from the vehicle. Halsted refused a search of her vehicle and police impounded it while waiting for a search warrant. Drugs and drug paraphernalia were discovered Halsted’s vehicle. Halstead turned herself in to Sunapee Police on Sunday after learning of a warrant for her arrest. Halstead will appear on January 5, 2016 in Newport District Court to answer charges of Possession of Drugs, Acts Prohibited and speeding. Congratulations to Hartford’s first Crisis Intervention Team (CIT) graduating class. Police and 911 operators from Hartford, Concord, Haverhill, Hanover and Lebanon participated in the Upper Valley Public Health Council initiative based on the highly regarded “Memphis Model” for assisting persons in crisis. Special thanks to the many presenters from the Vermont and New Hampshire public health, medical and mental health community that contributed to the week-long program. A 72-year-old Massachusetts man was arrested for leaving the scene of an accident after he hit a parked truck, Tuesday afternoon. Police say Stanley Schweiger fled the scene after causing moderate damage to a parked 2015 Ford pickup truck on Carol Brown Way in Putney, VT. A witness called the accident in and followed Schweiger until VT State Police stopped him at exit 2on I-91. Schweiger confessed to hitting the truck and leaving the scene.